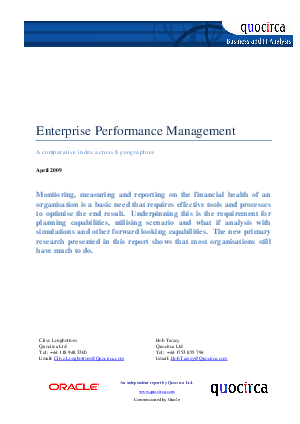 Monitoring, measuring and reporting on the financial health of an organisation is a basic need that requires effective tools and processes to optimise the end result. Underpinning this is the requirement for planning capabilities, utilising scenario and what if analysis with simulations and other forward looking capabilities. The new primary research presented in this report shows that most organisations still have much to do.